England’s clash with South Africa tomorrow afternoon offers more than a second shot at conquering one of the world’s top two sides this autumn. 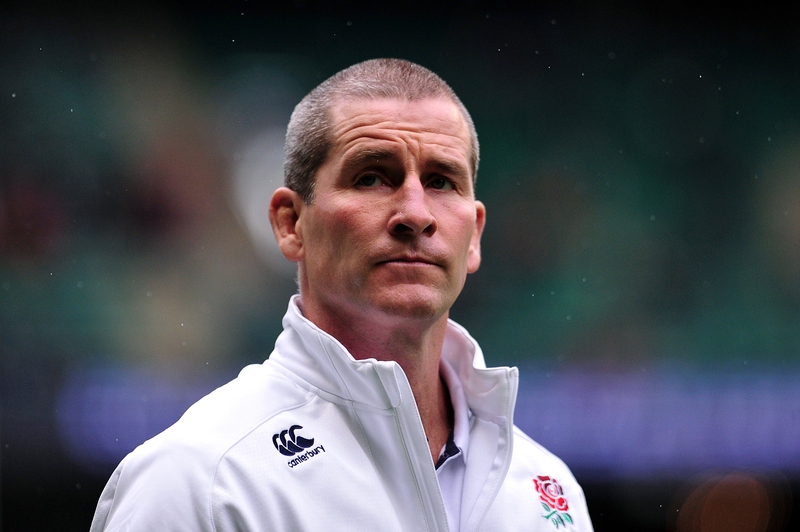 The Twickenham showdown is also the final opportunity for Stuart Lancaster to complete a ‘clean sweep’ of sorts just ten months out from a World Cup on home soil. Heyneke Meyer’s Springboks, who will be smarting after last week’s Irish defeat, are the only remaining top-level nation unbeaten by Lancaster’s England, having met four times in a five month period back in 2012. 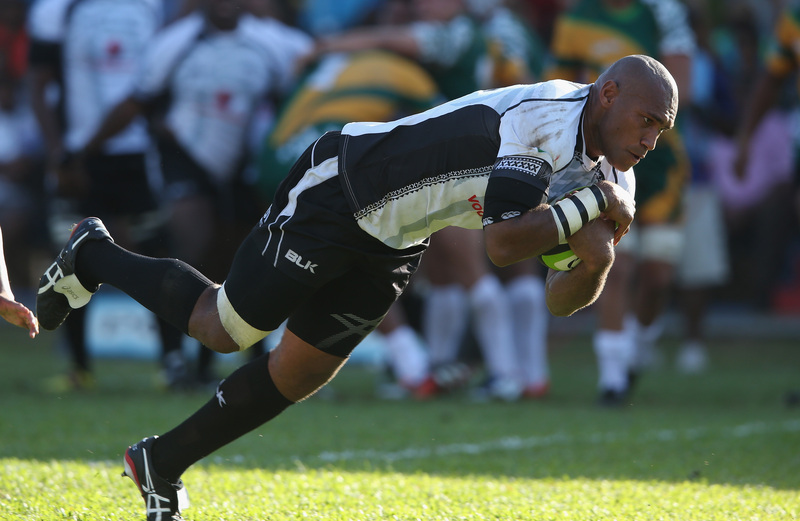 In the first two matches of a three-Test series that summer, the visitors lost 22-17 and 36-27 after being blown away in short periods of unmatchable power and intensity from the Springboks. A 14-14 draw in Port Elizabeth and a narrow defeat on home soil showed improvement, but ultimately left Lancaster with a gap in this CV that would be happily corrected this weekend. Indeed, England’s overall record against the Springboks does not make for comfortable reading, having not registered a win since a 23-21, 2006 success under Andy Robinson. Lancaster’s team have recorded some memorable results in his tenure, overcoming the rest of the best to deserve their place at No 4 in the IRB rankings. However if they are to be deemed worthy favourites for next year’s coveted prize, the key may lie in the head coach ending his short-term hoodoo against the world’s No 2. Will Scotland make New Zealand pay the penalty? Despite a raft of changes that will see only Richie McCaw and Ben Smith retained in New Zealand’s starting XV to face Scotland tomorrow, the All Blacks will be looking to build on a winning performance against England last weekend. One area that will certainly require improvement is the Kiwis’ accuracy from the tee. Between them, Aaron Cruden and Beauden Barrett mustered a far from perfect 38% success rate in front of the posts, and Steve Hansen will hope his reinstatement of world record points scorer Dan Carter to fly-half can offset another duff day in front of the sticks. Carter is making his first All Black start in a year following a broken leg, and while it may be inconceivable to say so, that oft-trusty left boot might take a little warming up. If so, Scotland captain Greig Laidlaw may be able to capitalise. The diminutive scrum-half was man-of-the-match in their 41-31 defeat of Argentina last time out, picking up a personal tally of 14 points after a flawless four conversions from four, and another two penalties to boot. If Laidlaw – or kicking compatriot Duncan Weir – is to have the decisive say, it will take some repetitive New Zealand indiscipline. The All Blacks conceded 14 penalties at Twickenham, although their savviness at where and where not to break the rules often limited any serious damage. Similar ill discipline might give Scotland some hope, although they will have to address their own behavioural problems – they gave away 15 penalties to the Argentinians – if they are to register a first ever win over the All Blacks. 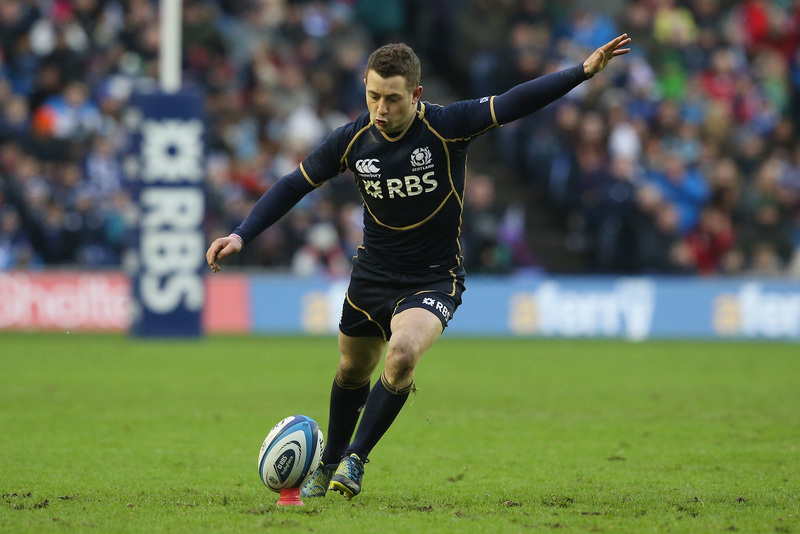 Down to a tee: Can Greig Laidlaw kick Scotland into contention against New Zealand? A quick scan of the starting line-ups for Wales’ clash with Fiji tomorrow afternoon confirms one thing: it will not be for the feint-hearted. The inside-centre battle between Jamie Roberts and 6ft 5ins juggernaut Nemani Nadolo is sure to cough up some bone-juddering collisions, whilst George North and Leicester flyer Vereniki Goneva are set to showcase their pace and power, a fact that should excite the 50,000 plus at the Millennium Stadium. There is no doubting Wales’ fitness, but they do not yet possess the ability to bully Southern Hemisphere teams – as Martyn Williams admits in this month’s edition of Rugby World. Despite making an impressive 168 tackles in defeat to Australia last weekend – and missing only 16 – their strength in the contact area let them down at two key times. Michael Hooper and Tevita Kuridrani both capitalised on missed one-on-ones tackles and the Wallabies capitalised, with the latter able to waltz through and under the posts after Alun-Wyn Jones and Alex Cuthbert slipped off in contact. The likes of North and Rhys Webb produced eye-catching moments of brilliance with ball in hand, but it was the costly moments in defence that ultimately sealed another heartbreaking loss. If they are to deliver the response that is so vociferously demanded of them, Wales will need to pass the doughty test that Nadolo, Goneva et al will surely provide. The All Blacks are not the only side ringing the changes ahead of their second autumn international fixture this weekend. Ireland have only two survivors from the side that downed South Africa in a clinical display on Saturday, as Joe Schmidt looks to illustrate the depth and tactical flexibility of the squad at his disposal. While some may argue that ‘continuity’ should be the buzzword around the Aviva Stadium this week with the visit of Australia on the horizon, debut berths for Dominic Ryan and Dave Foley accompany thirteen changes in a fresh Ireland line-up ahead of a Sunday clash with Georgia. With the likes of 79-times capped Gordon D’Arcy and captain Eoin Reddan drafted in, there will be a backbone of experience, whilst Ian Madigan has a chance to prove his worth as the understudy to IRB Player of the Year nominee Johnny Sexton. Ireland would have been few people’s choice to challenge for the Webb Ellis Cup before last weekend’s result, but last weekend’s win has been a real fillip for the nation. If Schmidt can truly exploit the depth of talent that this weekend’s new-look team suggests, that belief will continue to grow.